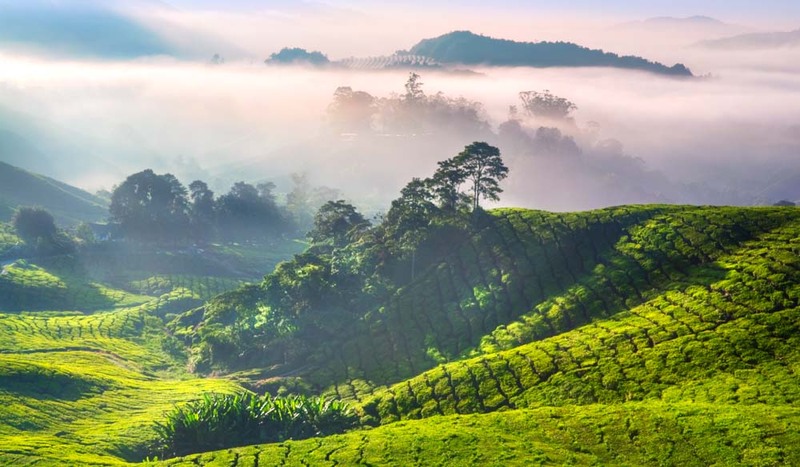 Tea Plantations at Cameron Highlands under the sunrise and early morning fog, Northern Malaysia. 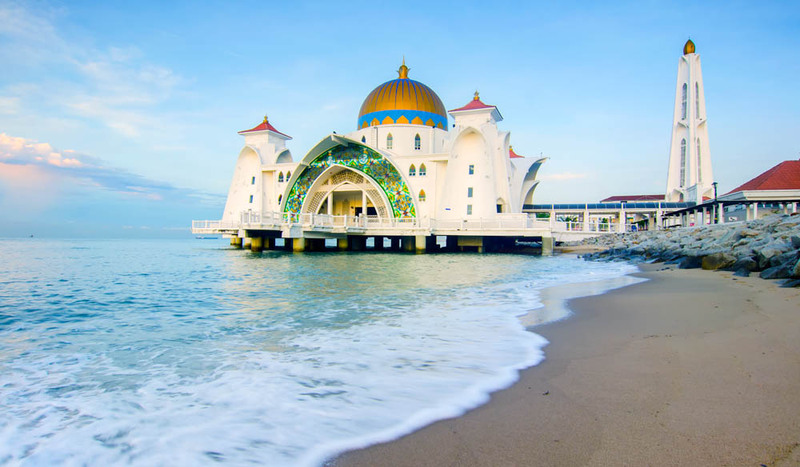 Masjestic view of Malacca straits mosque during blue sky located on the man-made Malacca Island near Malacca Town, Malaysia. 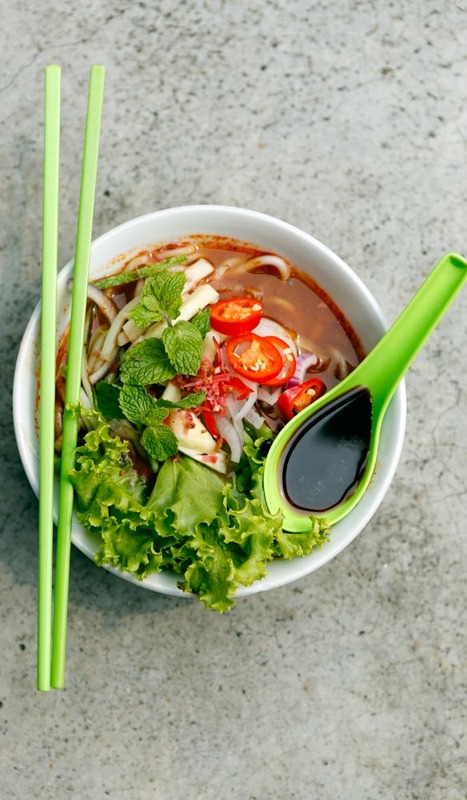 Laksa is a popular spicy noodle soup in the Peranakan cuisine, which is a combination of Chinese and Malay cuisine. Rickshaw tricycles parked near the entrance to Hock Teik Cheng Sin Temple, Armenian Street, Penang, Malaysia. Immerse yourself in the colour and beauty of one of South-East Asia’s crown jewels, Malaysia. Explore the rich and multicultural nature of south-east Asia’s most colourful of paradises. The term ‘cultural melting pot’ can be too readily thrown about, but Malaysia really does live up to the hype. Visitors to this south-east Asian paradise can savour a stunning array of lush landscapes; bustling, heritage-rich cities where the past and present collide in an exotic explosion of culture, and, of course, the bold and beautiful mixture of global flavours that have made Malaysian cuisine famous. 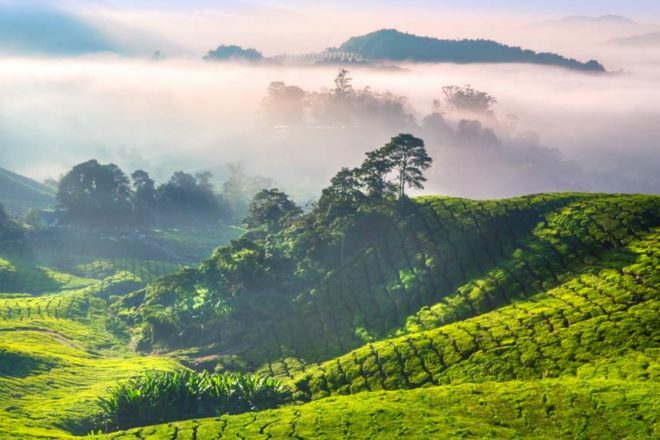 Those seeking a step back in time should make tracks for the serene, green Cameron Highlands. Developed during British colonial times and retaining a uniquely quaint character, these spectacularly pretty tea-strewn hills boast breathtaking views and cool, fresh highlands air. Here, you can work up an appetite as you explore lush tea plantations, rose gardens and rose farms; or visit the beautiful Lata Iskandar waterfalls, where a refreshing dip is the perfect precursor to a traditional afternoon tea. 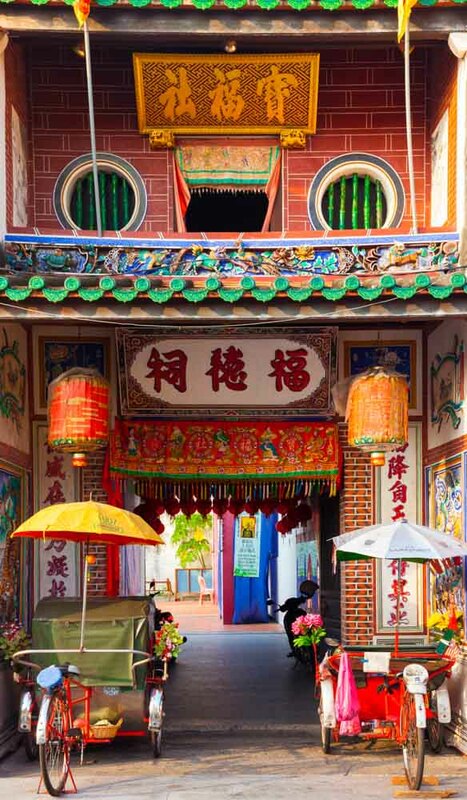 Back down to earth on bustling Penang Island, the fascinating Weld Quay Clan Jetties provide a very different glimpse into Malaysia’s colourful multicultural history. These six wooden jetties – each associated with different Chinese clans – are home to heritage (and still lived-in) ‘stilt houses’ harking back to the old Chinese settlements that sprang up here alongside other immigrants keen to make a living at this busy maritime port. While on the island, don’t miss the opportunity to make like a local in the capital of George Town by hailing a beca (trishaw) – often decked out with flowers, cushions and even a bit of bling – for a stylish ride through the famously vibrant city streets. Keep your eyes peeled for George Town’s famous street art, and make a pit stop (or three) for some of its fabulous street food. Like George Town, the city of Malacca has long been a mecca for visitors (both cities were designated UNESCO World Heritage Sites in 2008). Malacca’s history of colonisation by the Dutch, Portugese and British lives on in its unique blend of architectural styles, from St Peter’s Catholic church to the remains of the ancient Portugese fortress at Porta de Santiago; and the distinctive red former Dutch administrative building, the Stadthuys – itself built on Portugese ruins, back in the 17th century.